AUSTIN, Texas (October 22, 2018) -- Abel Iyasele of Nigeria, who is entering his second year at the University of New Orleans, has won Self Lender’s $1,000 Scholarship for Aspiring Entrepreneurs. "Self Lender hopes this scholarship aids Abel in achieving his financial and collegiate goals during his time at the University of New Orleans as he continues with his PhD program. We’re excited to see the great things he’ll achieve with a little help from the Self Lender scholarship," said James Garvey, co-founder and CEO of Austin, Texas-based Self Lender. Self Lender helps thousands of people begin their financial journey with credit building accounts. 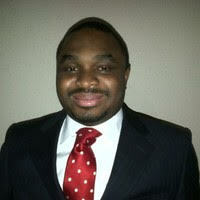 Iyasele is typical of the types of people who benefit from Self Lender’s offering. According to Iyasele, he had to reorient his understanding of credit; in order to be able to make future big purchases, he realized that he needed to build credit early. Iyasele’s realization about the importance of understanding and building credit is common across college campuses. His drive to teach himself about credit and take control of his financial future exemplifies the mission of Self Lender to help people learn about and take control of their finances. "Many people with significant life experiences in the developing world react to credit a bit differently from people who grew up and live in the USA," Iyasele said. "I am one of those people. ... I hope to use skills gained from my bachelors in computer science and an ongoing doctoral program in financial economics to revolutionize finance in the age of digitization. The burgeoning nexus between big data and finance will change credit forever and I am passionate about using that to help others." Today, Iyasele is completing his doctoral program in financial economics in hopes of democratizing financial services and solving financial problems via a "transparent and honest application of technology." 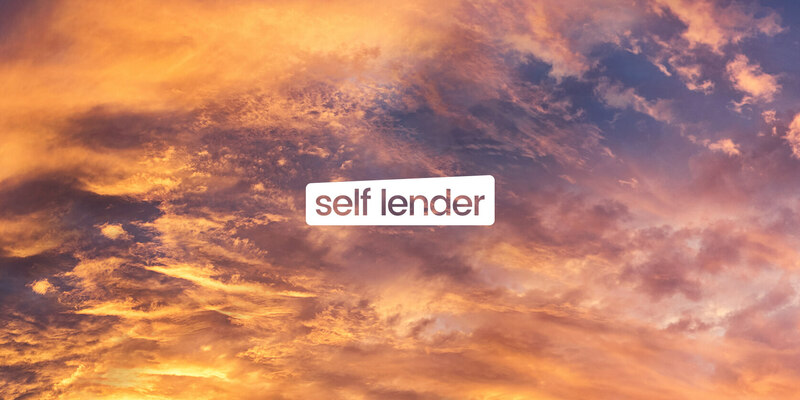 For more information about Self Lender, visit www.selflender.com. Credit building helps any individual fulfill a larger purpose: reputation building, which in turn enables access to important financial services. My relationship with money and credit has always been shaped by risk aversion. The environment in which I grew into an adult also did little to change my attitude to and interaction with credit. I come from a country where your ability to borrow depends on how much you earn as income and not on your credit history. In 2018 I am relying only on a credit card to build my credit history although I am open to other options if they offer benefits that outweigh any associated costs. Before I came to study Financial Economics at the University of New Orleans in the Fall of 2017, I relied only on my income and bank account balances as the only ways to show creditworthiness to any prospective lender. In my native country cash is king and your income and bank balance defines who you are to your lender; debit cards, not credit cards are the norm and I grew up to realize that you have to save a lot of your income to buy things like a car or a house; the large gap between deposit rates and lending rates in Nigeria encourages individuals to save money more than it does borrowing – and credit rating is just becoming important for individuals: a bank will lend you money largely based on what you earn, not how you have repaid debt in the past. Coming to the US was a real eye-opener: My doctoral program has expanded my view of risk aversion as it concerns consumer behavior. In the US, access to loans is largely a function of credit history. I had to reorient myself to understand that I need to build credit early to create a good chance of accessing affordable credit to make large purchase decisions in the future. In my home country, my key concern would have been to decide how long I need to save portions of my income towards a particular target using an interest-bearing bank account. Many people with significant life experiences in the developing world react to credit a bit differently from people who grew up and live in the USA. I am one of those people. My reaction is a function of where I grew up, my core personality traits and level of financial education. I hope to use skills gained from my bachelors in Computer Science and an ongoing doctoral program in Financial Economics to revolutionize finance in the age of digitization. The burgeoning nexus between big data and finance will change credit forever and I am passionate about using that to help others. Before coming to school in the USA, I had never used a credit card nor worked on building a credit history. I decided to apply for two credit cards in quick succession to try to ensure that in building my credit score from zero, several “hard pulls” on my new credit report would happen at the same time-thereby hopefully reducing the impact on my newly generated credit score. This plan did not work out but I am comforted that the impact of “hard pulls” is restricted to affecting 10% of my credit score from the rating agencies. Applying for more than one card was also aimed at increasing the amount I owed relative to the total credit amount. I find Self Lender a compelling offering given that it gives me certainty about 10% of my credit report since there is no “hard pull” on my credit report until a later date. Money has been digitized. Credit cards were a necessary step in the area of consumer lending but the future promises more. Crypto-currencies and technologies like blockchain are here to stay and will mean new things to credit. While artificial intelligence may already be enabling better ways of managing credit history, someone needs to connect current financial services industry to future applications around savings, lending and payment. My doctoral program should help me achieve my dream of playing a part to democratize financial services as much as possible in the savings-lending-payment spectrum and ensure society benefits from transparent and honest application of technology to solve financial problems. I believe we must embrace uncertainty and build the technology and tools of the future in all areas relating to credit. The current state of financial services is the result of risky decisions made by entrepreneurs in the past, and the future must be built from informed, risky decisions made today. The answers to questions that lie ahead fascinate me as I continue my journey to help people of the world build their reputation and live better.